North and South Korea are holding family reunification events this week for the first time since 2015. 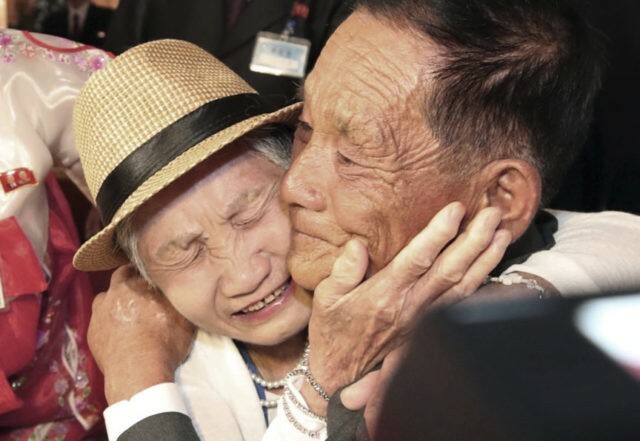 A group of 89 elderly South Koreans journeyed to North Korea’s Mount Kumgang resort to meet with family members they have not seen since the Korean War ended in 1953. South Korea’s Yonhap News reported on Monday that some of the participants were so frail that they spent the reunion in wheelchairs or needed help to stand. The oldest visitor from South Korea was 101-year-old Baik Sung-gyu. A large staff of medical personnel was on hand to ensure the health and safety of all participants. Han Shin-ja, a 99-year-old woman, couldn’t say much except cry when she saw her two daughters—Kim Gyong-sil and Gyong-yong—both in their 70s. CNN noted the South Koreans were “told to avoid saying anything that could be misconstrued or considered insensitive north of the border.” Some of them brought photographs of large extended families in South Korea that could not make the trip north of the border. According to South Korea’s Unification Ministry, the South Korean visitors will have a total of six meetings and 11 hours of time with their North Korean relatives between Monday and Wednesday. Another round of reunification meetings involving 83 North Koreans and over 300 South Koreans will be held between Friday and Sunday. Yonhap estimated there are about 57,000 South Koreans with living relatives in North Korea. South Korean Red Cross President Park Kyung-seo expressed frustration with the slow pace of family reunifications, a pace that is especially unfortunate given the advanced age of many participants. At least 75,000 reunification applicants have passed away while awaiting permission to meet with their relatives in North Korea. The group of 89 South Koreans who made the trip to Mount Kumgang this week were chosen by lottery. One hundred slots were originally available, but some of the lottery winners dropped out when they learned the relatives in North Korea they wanted to see were no longer alive. 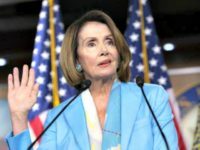 The North Koreans have dropped some hints that more reunifications would be possible if the United States, South Korea, and other interested parties work out a deal to formally end the Korean War. The family reunifications this week were seen as a result of the April summit meeting between South Korean President Moon Jae-in and North Korean dictator Kim Jong-un. “Imagine 73 years long without knowing whether their family members are still alive or passed away—no news at all. The agony and anger, that’s an unthinkable human tragedy,” Park told CNN.